The day after the fight, Fuuka and Rinne wake from a refreshing sleep. 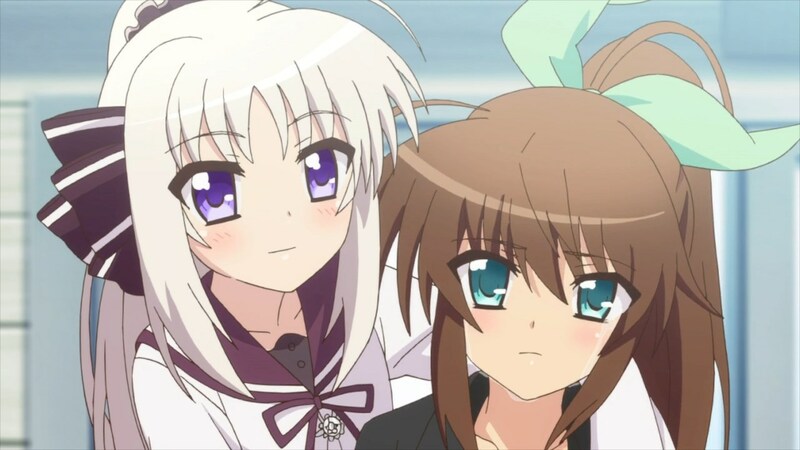 Rinne and Jill renew their relationship. Einhart gets some training in as Vivio and her immediate crew return home for school. 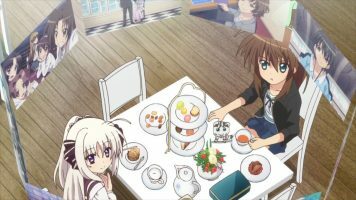 Fuuka and Rinne have a tea party and continue to renew their friendship. Rinne reveals their fight was transmitted far and wide. Fuuka returns to Nakajima Gym. Jill calls Nove and discusses her past. Rinne renews her relationship with her adoptive family. She starts coming to Nakajima Gym. 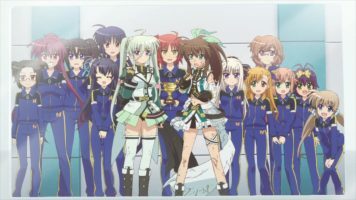 Rinne is in Fuuka’s corner when Fuuka fights Einhart. And so this tedious series comes to a predictable end. Unfortunately, I don’t have much to say. So I guess I’ll just keep it brief. Fuuka and Rinne are best of friends again. Not surprising. Yay. Jill and Rinne renew their relationship. Jill will remain Rinne’s coach. Yay. 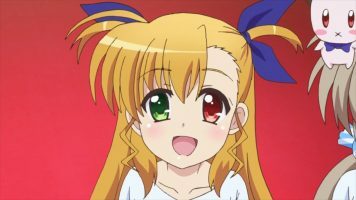 Einhart renews her relationship with her adoptive family. Yay. 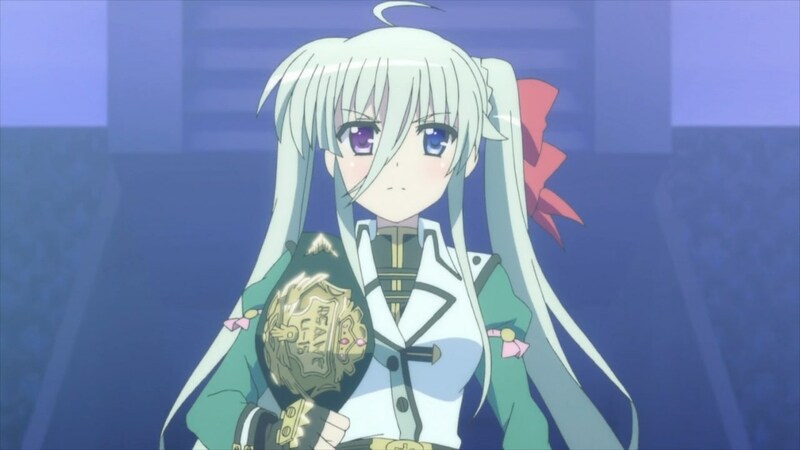 Einhart trains for the tournament. Yay. There are tons of characters everywhere. Yay. Jill and Nove appear to become friends. Yay. Einhart battles Fuuka in the finals. Yay. The writers don’t reveal who won the fight. Yay. Since the series hasn’t been all that interesting on the whole, I guess it is not surprising that the aftermath episode here is so tedious and boring. Oh well. In the end, ViVid Strike! 12 is a pretty aftermath episode that wraps everything up all nice and neat. But since the series wasn’t interesting to me, this episode wasn’t interesting to me. Just as a heads up, there are going to be three ova’s that come with the blu-rays.